Holywood’s Tom McKibbin leads the way heading into round two today at the second Major Champions Invitational hosted by Sir Nick Faldo in Florida. 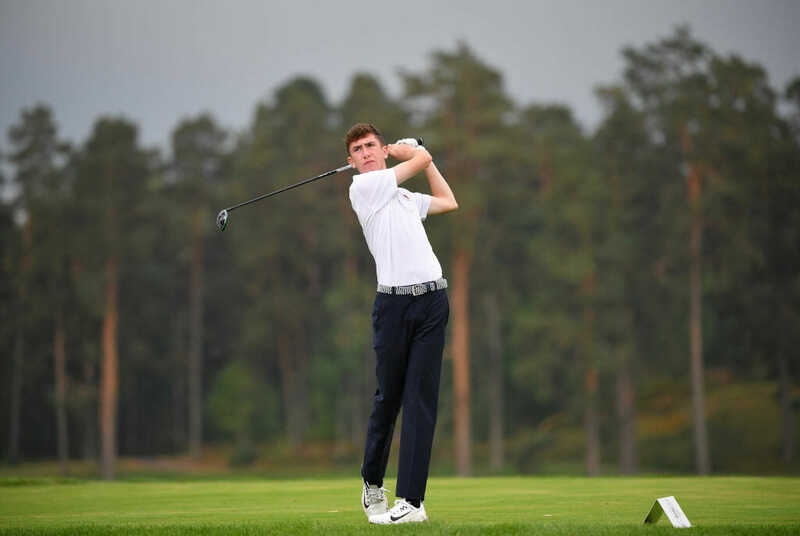 The Northern Irishman fired a five-under par 67 as part of Team Faldo to lead the individual male division alongside Andrew Goodman after yesterday’s first round. The second Major Champions Invitational saw 72 juniors from 18 countries teeing off at Bella Collina in Montverde, Florida with 18 teams of international golfers, each supported by a major champion, experiencing a professionally-managed tournament that gives players a glimpse into what competing at the top-level is like. In addition to each team competing for the lowest score, juniors are also competing for low-scoring male and female. After the first round, Team Faldo and Team Hall are tied and lead the charge with a score of 5-under-par. The team’s score is comprised of the low three out of four individual scores. Team Faldo is comprised of Rivekka Jumagulova (71), McKibbin (67), Pranavi Sharath Urs (73) and Grayson Wotnosky (77). Team Hall is comprised of Annabell Fuller (68), Conor Gough (68), Lily May Humphreys (75) and Alexis Valenzuela (78). Seventeen-year-old Siqin Yu (China) from Team Stewart is leading the female division at 5-under-par. Following the first round, competitors were treated to a clinic and Q&A session featuring major champions Sir Nick Faldo and Tony Jacklin. During the practice round, Nancy Lopez visited Team Lopez onsite at Bella Collina and welcomed her team to the tournament. Sir Nick Faldo also announced a new partnership with the Saudi Golf Federation and the Major Champions Invitational. As the presenting sponsor, the Saudi Golf Federation will build on the momentum of this event and offer a platform for global expansion and an enhanced competitor experience.